The nation's #1 real estate broker and charismatic costar of Bravo's Million Dollar Listing New York shares his secrets on how to be successful. 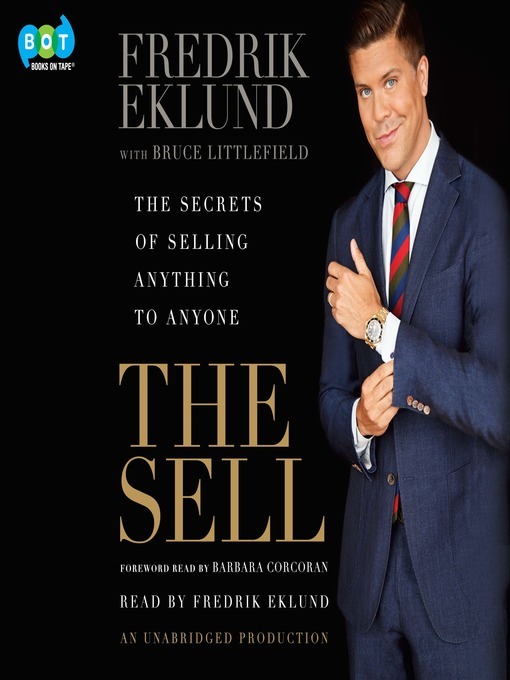 In The Sell, Eklund leverages his years of experience to create the go-to manual for self-promotion and sales. At the core of the book are chapters tied to Eklund's 10-step program for "selling anything to everyone," sharing his secrets on everything from personal authenticity and looking your very best to crafting the perfect sales pitch, negotiating with savvy, and closing deals promptly and efficiently . . . lest they slip away. The Sell imparts helpful wisdom and tips on wooing new customers, getting them to like and trust you, and persuading them that whatever it is you're offering them is precisely what they want and need most. Whether you're just starting a job as a sales rep at Verizon, navigating your career as an executive or entrepreneur, or hitting your stride closing big transactions as a banker at Goldman Sachs, The Sell will show you how to improve your game, step up the deals you're making, and radically increase the money you're bringing home. The Sell is a vital go-to audiobook for anyone who wants to have an impact in his or her personal and professional life, with a razor-sharp focus on selling: selling yourself--or your brand--no matter what your background is. Barbara Corcoran - Author of introduction, etc.